Dr. Diana G. Oblinger is President Emeritus of EDUCAUSE, a non-profit association of 2,400 colleges, universities, and education organizations whose mission is to advance higher education through the use of information technology. Previously, Oblinger held positions in academia and business, including the University of North Carolina system, IBM, and Microsoft. She is known for her leader-ship in information technology, particularly its impact on enhancing learning and improving college readiness and completion. Oblinger has received outstanding teaching and research awards and holds three honorary degrees. She currently serves on the Board of Directors of Ellucian. Am 3. und 4. 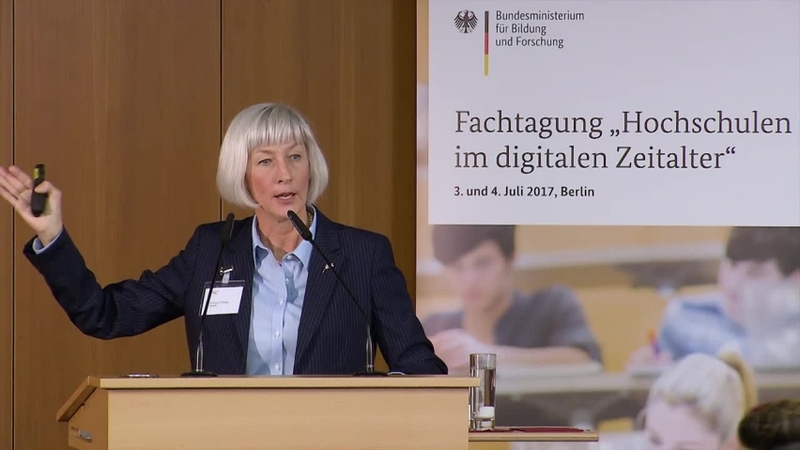 Juli 2017 diskutierten rund 165 Expertinnen und Experten aus der Hochschulforschung und -praxis auf der BMBF-Fachtagung „Hochschulen im digitalen Zeitalter“ über drängende Fragen zum Stand der Digitalisierung in der Bildung und über Effekte, die die Digitalisierung auf Hochschulen als Organisationen hat. Dr. Diana G. Oblinger von der US-Initiative EDUCAUSE sprach in ihrer Keynote mit dem Titel „Learning 360“ über Bildung und den Einfluss moderner Kommunikationstechnologien. Die PDF-Folien zur Präsentation finden Sie hier.